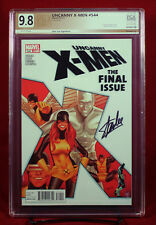 UNCANNY X-MEN #544 PGX 9.8 NM/MT Near Mint/Mint signed STAN LEE LAST ISSUE +CGC! The Uncanny X-Men #306 (Nov 1993, Marvel) High grade! UNCANNY X-MEN 317 -- GREAT CONDITION!! UNCANNY X-MEN 1 JEAN GREY 2 GENERATION X 5 PHOENIX/ENDSONG 3 FREE PHOTO! 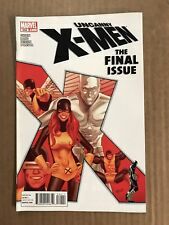 tHE UNCANNY X-MEN 310 -- GREAT CONDITION!! This page was last updated: 18-Apr 14:33. Number of bids and bid amounts may be slightly out of date. See each listing for international shipping options and costs.